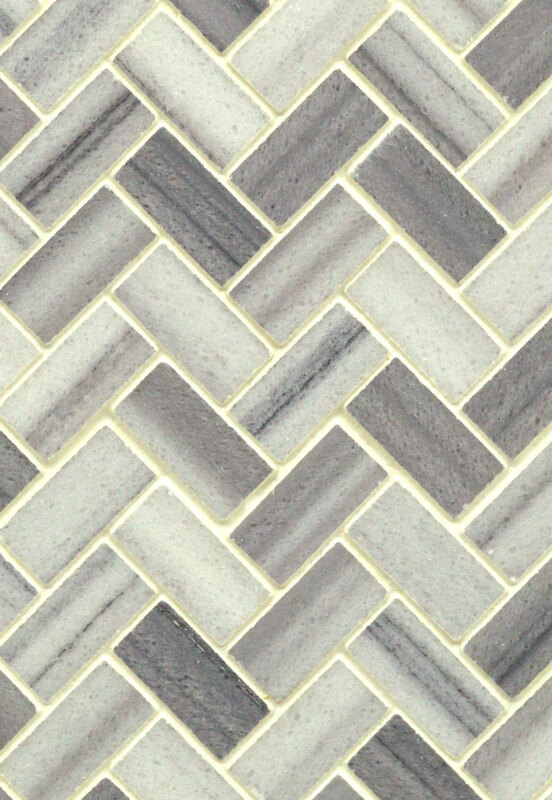 Bergamo Herringbone Mosaic features elegant natural marble tile in easy to install interlocking sheets. This white marble tile features soft gray veining, and the herringbone design is modern, yet traditional. Suitable for a kitchen backsplash, accent walls, and other architectural features in the home.